The following is an excerpt from an article titled “Cowboys at Christmas” that I wrote for Heifer International’s World Ark magazine. And dreamt of home while fast asleep. 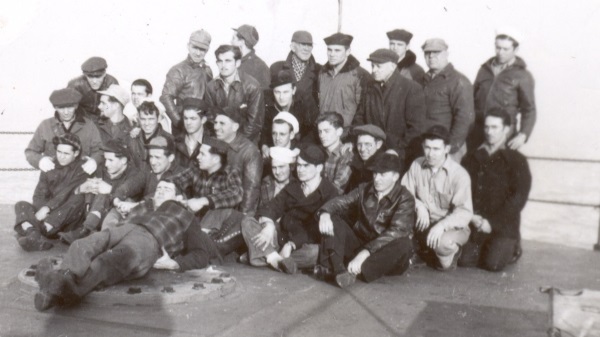 So wrote twenty-three-year old Willard Bontrager in “An Ode to Thirty-two Cowboys,” a poem he presented to his crew at their Christmas program on the SS Morgantown Victory December 25, 1946…. 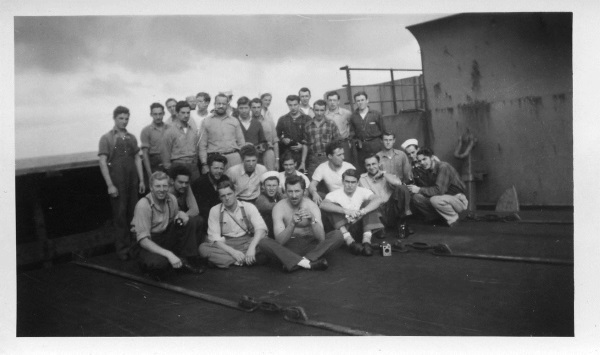 About 7,000 men of all ages, religions, colors, and walks of life responded to the call for “seagoing cowboys” during the years 1945 and 1946. A number of these cowboys found themselves away from home over the holidays, many for the first time. As Bontrager’s ode suggests, this affected some more than others. But the storm didn’t stop the festivities Christmas Day. Guyer’s shipmate Calvert Petre noted in his journal, “[J]ust when they had the tables set for the feast they sent word down to watch the tables. No one took them serious enough and when the storm hit us broadside, what a roll!!! It slid oranges, apples, candy, plates, and boys all on a pile….” They reset the tables and soon were digging into a duck dinner with all the trimmings. That’s it for 2014! I wish all my readers a safe and happy New Year’s Eve and abundant blessings in the New Year!